You ran the extra mile. You did that extra rep. Your delts are more defined. You're eating clean. You shed the pounds. Your sweat beads are an accolade. You're ready to motivate and inspire more on your journey. You post your progress on Social Media. You want to maximize the reach of your content. You're aware Hashtags can help, but aren't sure which are most effective. Welcome to Fitness Hashtags. 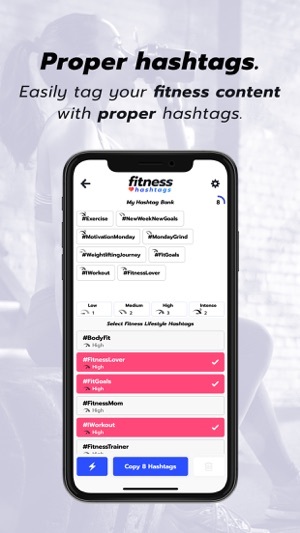 ◆ Fitness Hashtags is made for anybody who has a public fitness profile, fitness bloggers & vloggers, or those of you who document your fitness progress on Social Media. WHAT IS THE APPS MAIN PURPOSE? 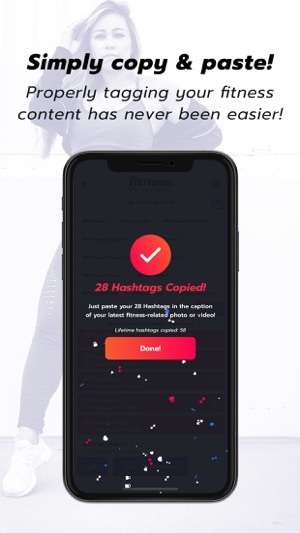 ◆ Fitness Hashtags allows you to quickly and easily create a bank of up to 30 relevant hashtags to copy & paste for your fitness photos and videos. WHY IS THIS APP NECESSARY? ◆ Hashtags help users discover content and new accounts to follow. 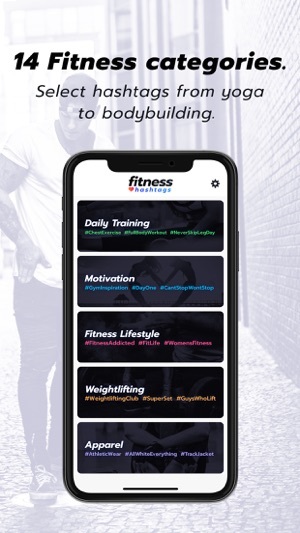 By tagging your Photos, Videos, Posts or Pins with relevant fitness hashtags, your content and your account becomes more discoverable to like-minded fitness enthusiasts like yourself. 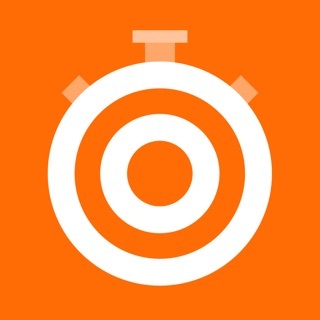 ● Save time tagging your fitness content!! 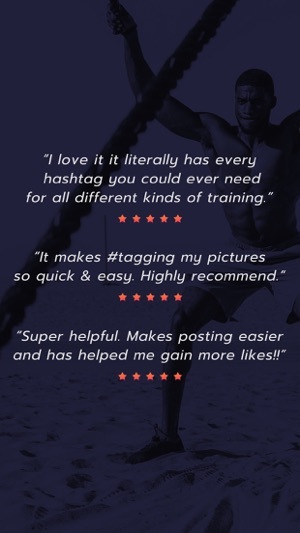 ● 1,000+ highly targeted fitness-related hashtags to copy. ● Hashtags organized by 14 categories including Daily Training, Weightlifting, Fitness Lifestyle, Motivation, Yoga & more! ● NO duplicates! Fitness Hashtags prevents you from copying duplicate hashtags. 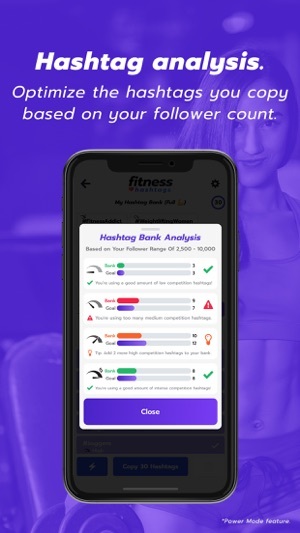 ● Counter on the Fitness Hashtags main screen to let you know how many hashtags you’ve selected from each category. ● Hashtag Competition - Power Mode reveals competition level for each specific hashtag. 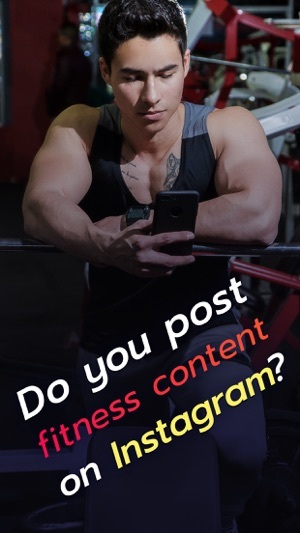 Intense competition hashtags like #fit and #gym should be supplemented with a balance of low, medium & high competition hashtags based on your follower amount. ● Instant Hashtag Analysis - Easy-to-read analysis specifies goal amounts for low, medium, high & intense competition hashtags. Create an optimized blend to help your content reach more fitness enthusiasts. ● Sort Hashtags By Competition - Power Mode lets you sort category hashtags from low to intense competition. Fill up your goal amounts quicker! *POWER MODE is an auto-renewing subscription. Payment will be charged to iTunes Account at confirmation of purchase. Subscription automatically renews either monthly or yearly unless auto-renew is turned off at least 24-hours before the end of the current period. You may cancel your subscription at any time, however no refunds are available during an active subscription period. Any unused portion of a free trial period, if offered, will be forfeited when the user purchases a subscription for that duration. Free trial may only be used once per user. • New category: Losing Weight! • Hashtags in other categories were updated! • UI design adjustments and performance improvements. I am a fitness enthusiast who just started posting my progress on Instagram. Fitness hashtags has been super helpful in tagging my photos! I love how the hashtags are organized by all of the different categories. It makes it very easy to pick hashtags depending on what type of workout post I am making on Instagram. It's really easy to use also. I love the confetti effect after I copy my tags! Great app!! 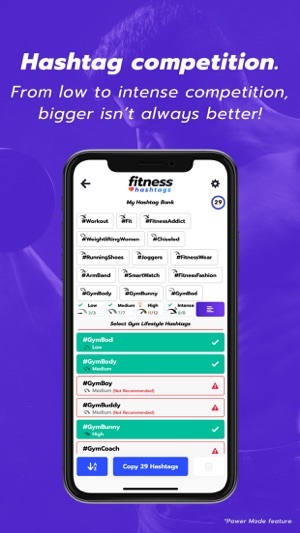 Such an amazing app recommend highly for all fitness account!! I love it it literally has every hashtag you could ever need for all different kinds of training. So much easier all you do is copy and paste that's it!! Fitness Hashtags is an awesome application for my Instagram account. It makes #tagging my pictures so quick & easy. Highly recommend, especially to those who are new to Instagram or looking for inspo for tagging.